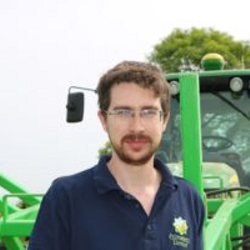 James Alexander runs Primewest Ltd, an agricultural contractors and no-tillage specialists in Oxfordshire alongside his father. The business contract farms 400 hectares including an organic and conventional mix and contract drills around 1000 hectares a year with a cross slot drill. The business started in 2004 and now employs four full-time staff and two casual workers at peak periods. In 2012, after seven years with no drill sales, the firm undertook the design and building of the first UK built cross-slot drill frame. There are now over 20 machines in the UK and Europe. The company also produces crimper rollers to work alongside the seed drills.